Inspired by new trends of modern technologies which will brings new cool effects and insightful structure, SJ Travel II - Joomla! Template has been released. This is the first time your Website can experience so many exciting effects than ever! 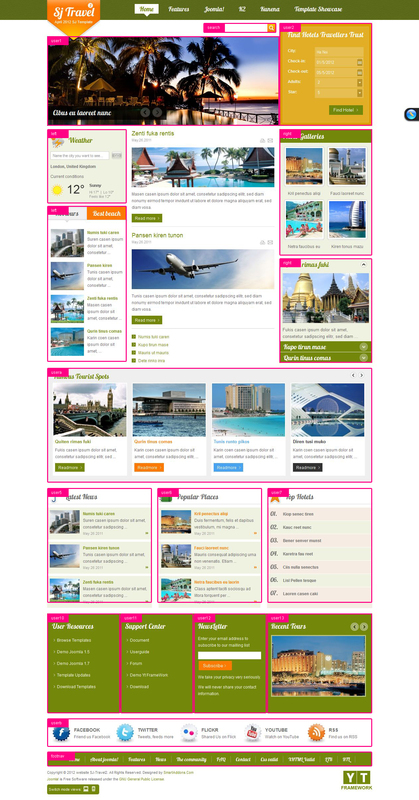 Besides, by using SJ Travel II, your Website will be available in many contexts! 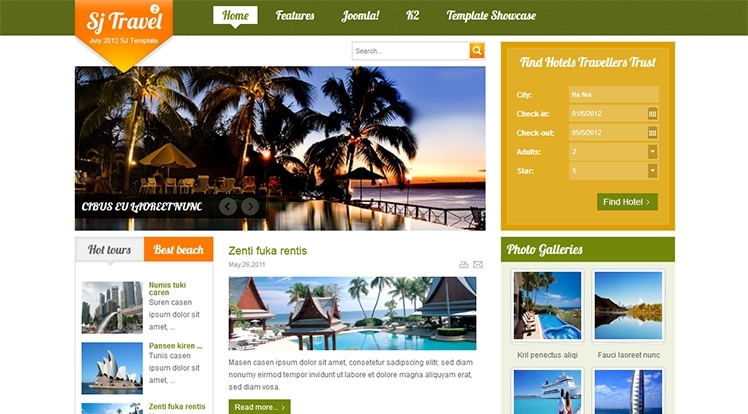 For those want to make online booking system with K2 or travelling forum with Kunena (Forum for Joomla! ), this template will be for you! At this time, the new package for Joomla! 3.x and supporting responsive layout for Joomla! 2.5 are available. For more details of this joomla template, you can check our demo to see it in reality. 10. Support Site Styles: Blue, Green, Red, Brown, Orange and Black.